Supervisor Tips: Good Staff? - I Love ABA! How is “Good” evaluated? Better than bad? Almost great? Without further definition of the word “good”, valid measurement is pretty impossible. ABA people are big on defining things. We like to break abstract concepts down, get an operational definition, make sure everyone agrees on the definition (and what the definition excludes), and ONLY then go about measuring the concept. 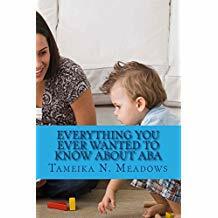 It's super common to hear ABA people say things like “What does that look like?”, “Give me an example”, or “What do you mean by tantrum?”. If we can’t agree on what we are measuring, then how can we accurately measure? Staff evaluations and staff feedback are two areas where all of these same skills come into play: being able to break concepts down, defining what you want to measure, and then creating a system of measurement. 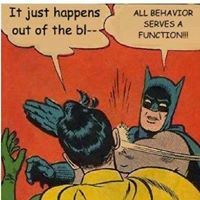 For supervisors, at any given moment we are always shaping the behavior of at least 3 people: the client, the caregivers/parents, and the staff. 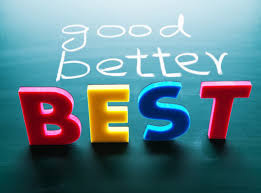 Everyone wants excellent and well-trained staff, but I have often observed few want to do the work necessary to transform staff from "good enough" to "excellent". 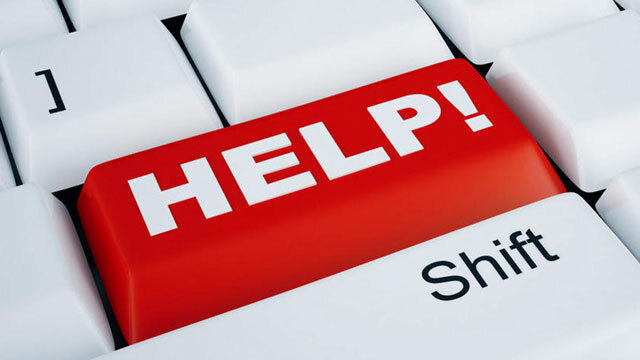 The reality is regardless of experience or education you may find that the direct staff need remediation in various skill competencies in order to perform their role with excellence. Years and years of experience does not mean it was quality experience. Or, months and months working for “prestigious Dr. so- and- so” does not necessarily translate into a great clinician. Sometimes book smarts does not equal bedside manner, and vice versa. Staff evaluation is basically about making sure the staff are meeting the demands of their role, but it’s also about seeing staff improve over time. Of those two concepts, I have encountered the most staff opposition with the 2nd one. Particularly for highly experienced staff, there can be a bit of a “I know what I’m doing, so there’s nothing I can improve” kind of attitude, which may need to be addressed before accurate evaluation can occur. I’m pretty sure you don’t know any perfect people (because I sure don’t), so that means staff can always improve upon their skillset or knowledge base. An approach I like to use is to provide overall performance evaluation (long term/every 6 months) combined with more frequent and specific feedback (every supervision session). I like to focus on a combination of content areas, as well as more indirect skills or capabilities that are an important part of this kind of work. What’s that, you’d like to see an example? Sure, I can do that! For the long term evaluations, this is where I am more interested in improved performance over time. I focus on areas such as Teaching/Instructional Control, Time Management/Organization, Behavior Reduction, Prompting & Prompt Fading, etc. A good tip is to incorporate content areas from the current BACB task list. This will help guide your understanding of what behavior analytic skills and concepts you should be teaching to your staff. I’m big on teaching…probably the #1 thing I do during supervision sessions is on the spot staff training, or teaching. Lastly, part of helping your staff reach excellence means you need to intentionally hop in the passenger seat and let them drive sometimes. 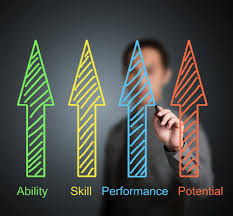 What I mean by that is allowing opportunities for more of a leadership role, such as having the staff create program visuals, help you update the client’s VB-MAPP, co-lead a parent training session with you, or give input on skill acquisition goals. Giving the direct staff opportunities to learn about your role and what you do as the supervisor enhances their skillset, and I have found multiple times it can spark an interest in becoming certified/pursuing a career in this field.